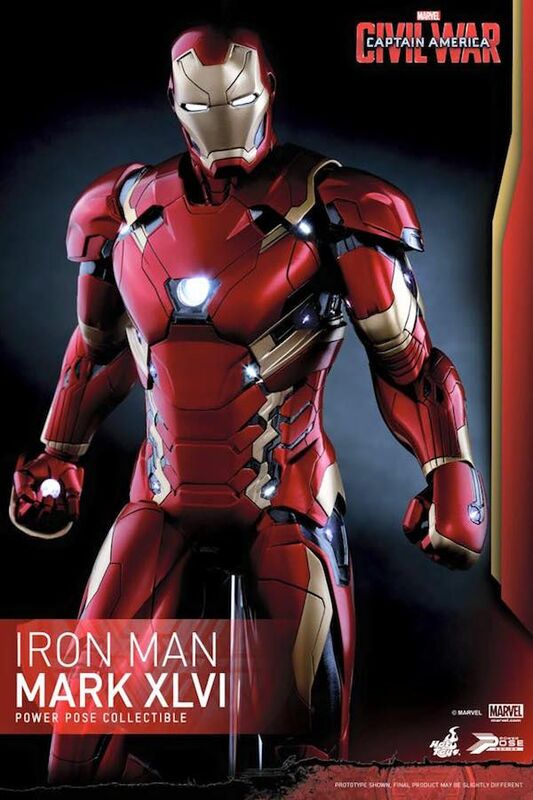 After the events of Marvel’s Avengers: Age of Ultron, Captain America and the Avengers continue to protect the world, but with the rising concern of collateral damage by the government, the Avengers has become divided into two opposing factions led by Captain America Steve Rogers and the other by Iron Man Tony Stark over the government oversight and accountability for the Avengers. 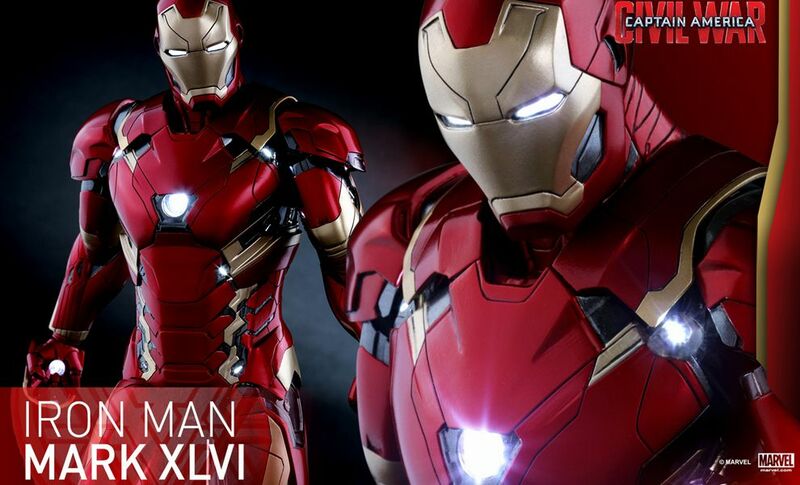 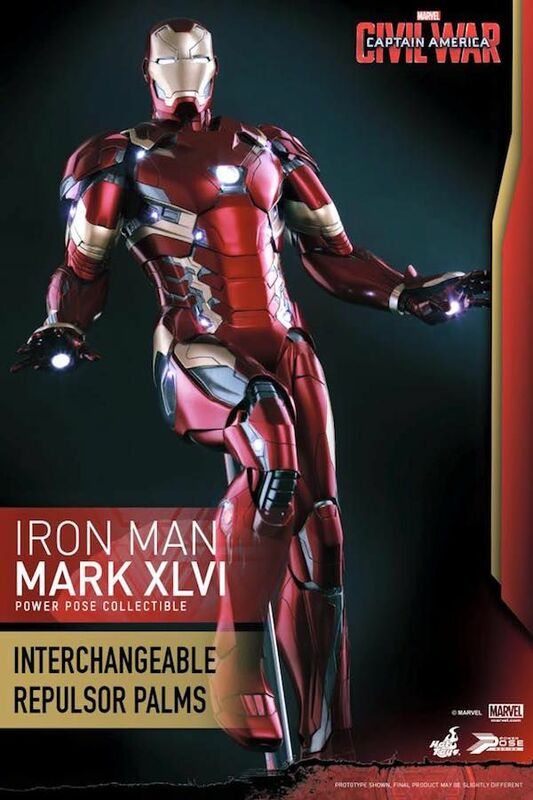 Today, Hot Toys is pleased to officially debut the first 1/6th scale collectible figure of Tony Stark’s new Iron Man armor in Captain America: Civil War – the Mark XLVI to our Power Pose Series (PPS)! 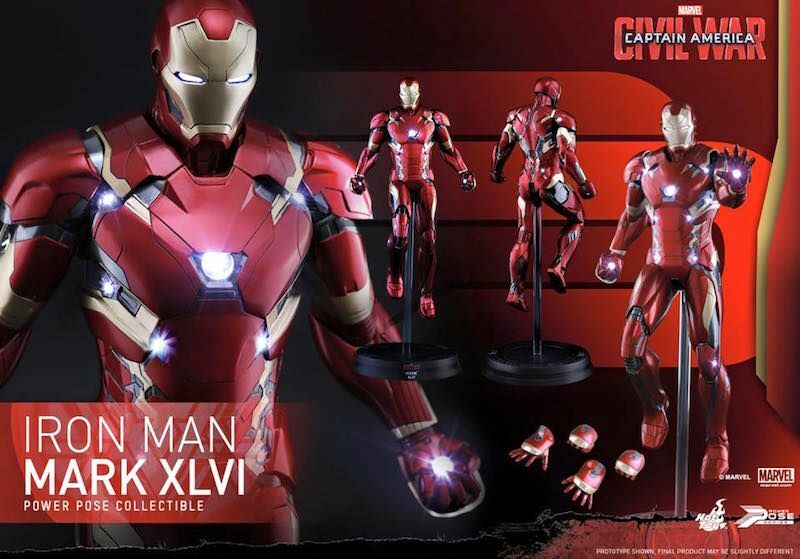 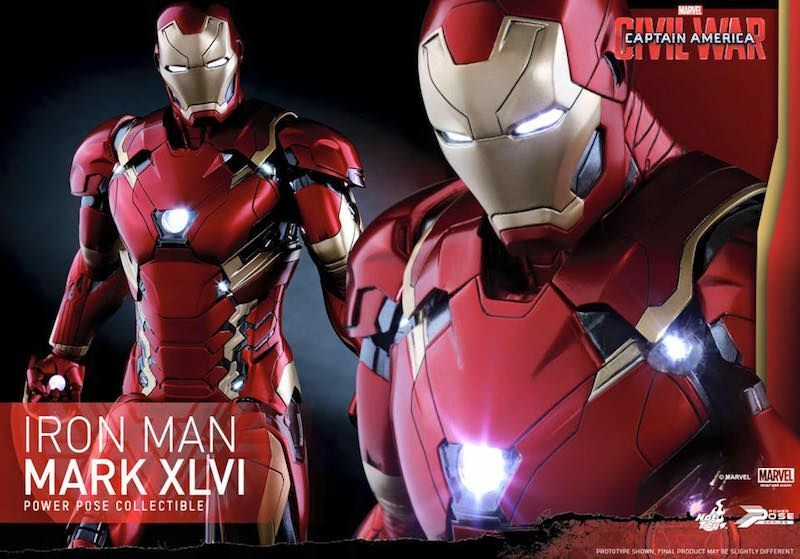 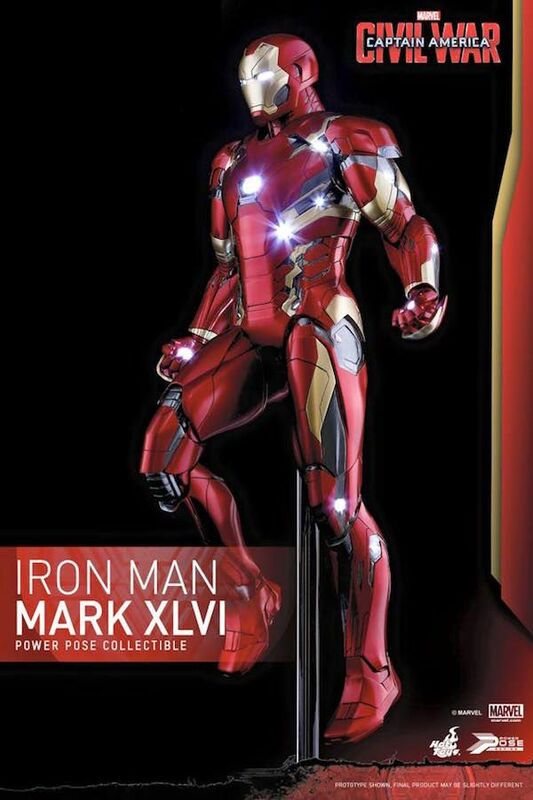 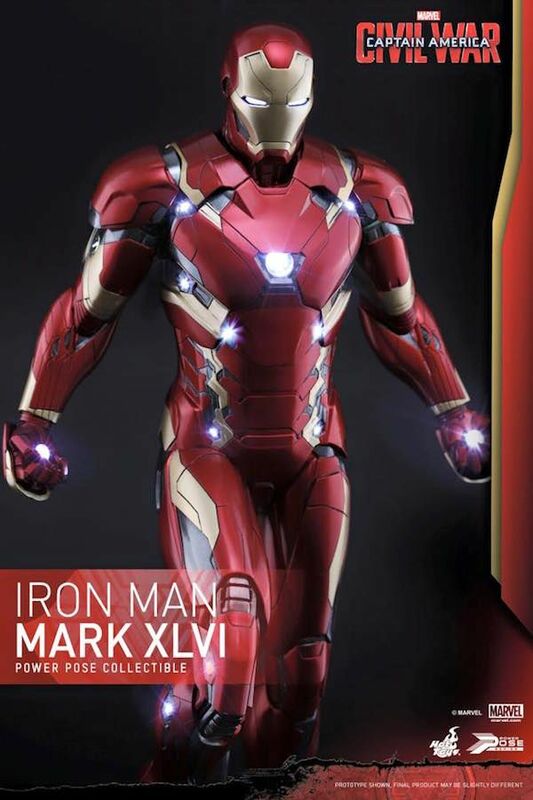 The Mark XLVI Power Pose Collectible is highly detailed and specially crafted based on the image of Iron Man’s new armor in the film featuring a meticulously sculpted sleek and streamline armor, 28 LED light-up points throughout the body, specially applied metallic red, gold and dark silver colored painting on armor, articulated head and arms, interchangeable fists and repulsor palms, and figure base. 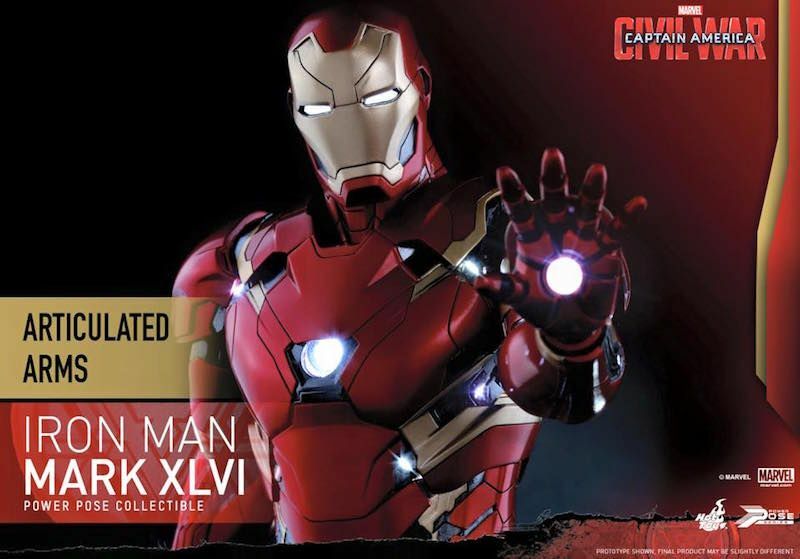 No matter which side are you on, this new Mark XLVI Power Pose Collectible will be a great addition to your Captain America: Civil War collection!